Marine propulsion research & development company, Contrapel Ltd has released details of its new propulsion system for boats – the system set to make future boats more economical, manoeuvrable, safer, stronger and better for the environment. The high-speed propeller was invented over 170 years ago and has dominated the propulsion market ever since. Despite 60 years of development, water-jets have struggled to make significant inroads. 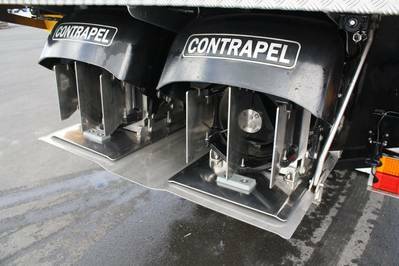 Shown to an enthusiastic marine industry for the first time at the recent Auckland On Water Boat Show, the Contrapel Hybrid Drive is about to change that. The system is so advanced that it carries out all the functions of both propellers and water-jets with none of the drawbacks of either. 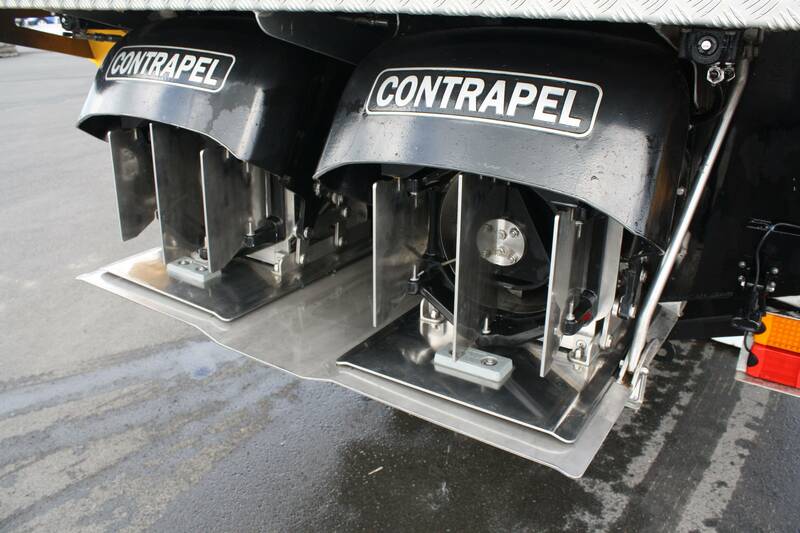 “The Contrapel technology is a propeller system working above the waterline. Externally it resembles a traditional water-jet, however internally the method for developing thrust has much more in common with conventional propeller systems,” says Contrapel founder and Managing Director, Barry Davies. The Contrapel drive uses a pair of contra-rotating, fully enclosed hybrid propellers, capable of operating above the water line. The mode of operation of the hybrid propellers is to accelerate the water from out of the intake (pick-up) duct and then discharge it through the outlet, requiring only enough backpressure downstream from the propellers to keep the system primed. This contrasts with the traditional jet, which does not accelerate the water until further downstream in the nozzle section, which requires the generation of high pressure. The Contrapel Hybrid propellers produce lift in a similar way to open water propellers, by using slippage. The use of hybrid propellers enables the mass component for each revolution be maximized and the plume velocity to be minimized. This contrasts with the low mass per impeller revolution and high-plume velocities present in conventional high-speed water-jet designs. 2) Better fuel economy at low and mid speeds due to vastly improved control. 3) Highly survivable and operable in extreme conditions, including brown and black-water environments. The rotating speeds of the hybrid propellers are also very low, which generates low noise and little wake turbulence. The Contrapel Hybrid Drive boasts “propeller-like” thrusts at all speeds, but unlike propellers the Contrapel Hybrid Drive propellers are enclosed in a stainless steel tube that is screened to ensure objects cannot be ingested. This means that animal life; people and fragile seascapes are protected from damage. “All propeller systems are limited by virtue of the exposed nature of their rotating blades. Outboards, stern-drives, surface piercers, shaft-drives etc. are a liability when operating in unknown and shallow waters - one strike and the craft is out of action. Where the Contrapel Hybrid Drive also excels are the benefits over high-speed water-jets. The system has a high tolerance to wear caused by small particles in the water, equating to minimal performance loss due to damage or wear. Currently tested in 190mm, 270mm and 330mm diameter configurations, the Contrapel Hybrid Drive is able to suit a variety of marine propulsion applications, and will work on smaller leisure craft right through to military vessels, shipping, work boats, dredging vessels and will even work for underwater submarines. One of the world’s leading boat manufacturers, New Zealand’s Stabicraft Marine have been involved in the development of the Contrapel Hybrid Dive, and in conjunction with Contrapel Ltd have fitted two Contrapel 330 units to a 10.2m Supercab rescue vessel. Powered by twin Volvo-Penta D6 435hp engines, the Stabicraft 10.2m weighs 8 tonnes and carries 750litres of fuel. It can achieve a fast cruise of 29.7 knots @ 3030rpm and reach a top speed of 37knots @ 3500rpm.